Verify your site ownership. This is very simple for use, but very effective module for you !!! With this module you can make Verification of your store so easy like never before. 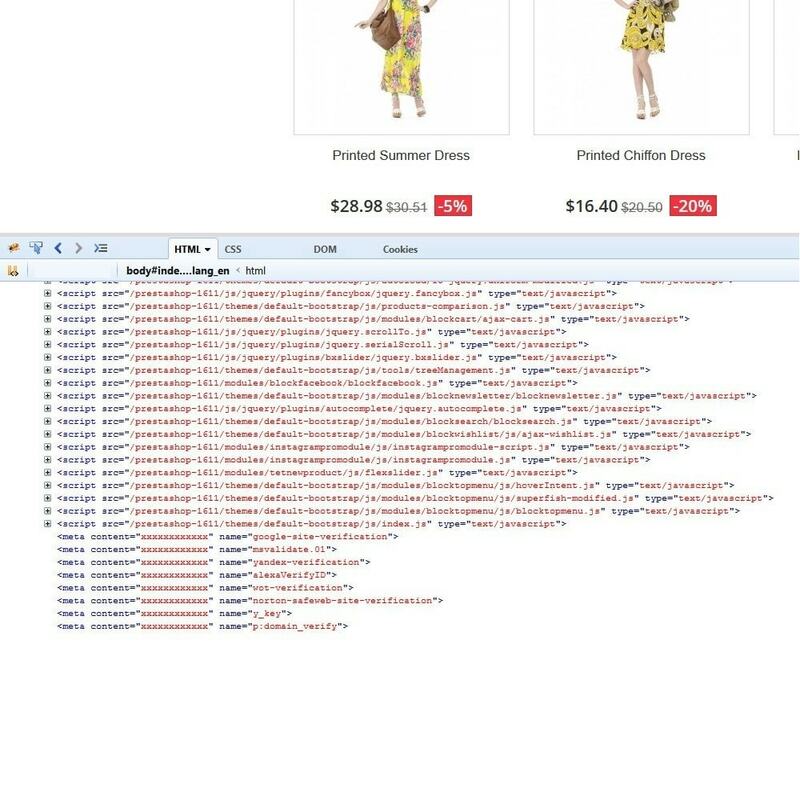 You don't need edit the HTML code for add a meta tag to your Prestashop store. Also you don't need upload an HTML file with the name you specify to your server. 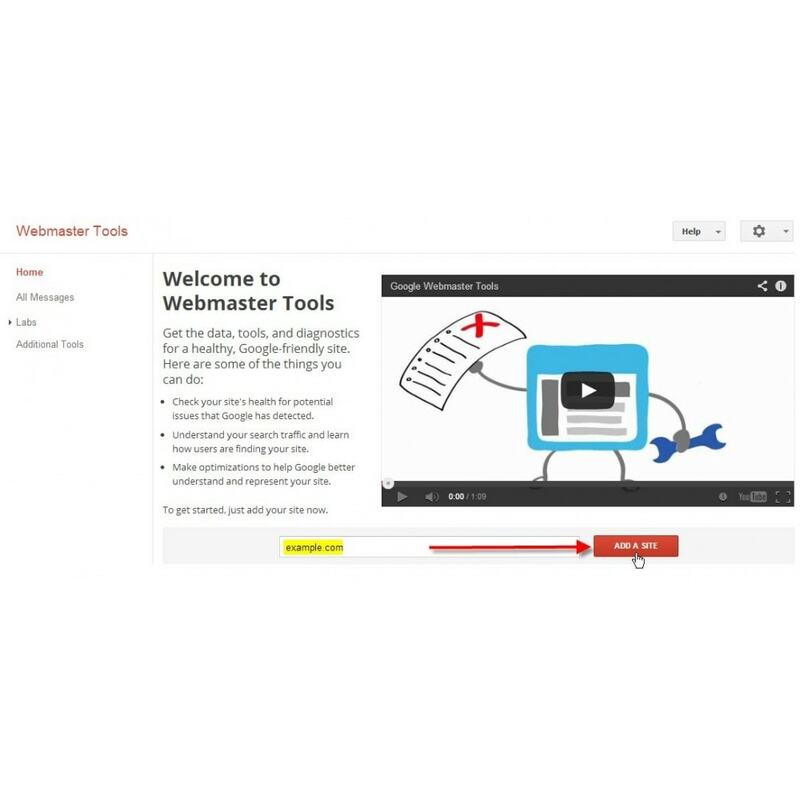 After you’ve verified your Prestashop store, search engines provide for you webmaster tools. It is very important way of optimization. Webmaster tools let you get the most of this free service and maximize your Prestashop store performance on Google Search, for example. With help of Webmaster tools you can make sure you add both "www" and "non-www" versions for your store. Also, if you use the HTTPS protocol, add those variations as well. Choose whether you want your site to appear with or without "www" in search. Set your geographic preference if your store targets users in a specific country. Submit a sitemap file for Google, for example. This helps Google better understand how to crawl your site. 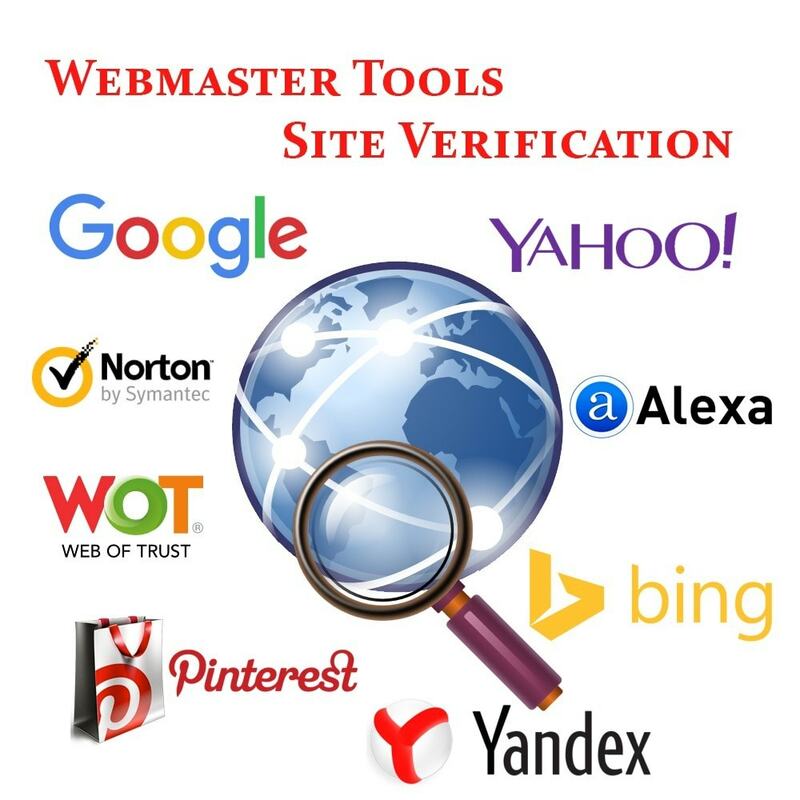 Our module "Webmaster Site Verification" works with any search engine or web service that uses meta tag verification, including Google, Yahoo, Bing, Alexa, Yandex, Mywot, Norton Safeweb, Pinterest.!!! 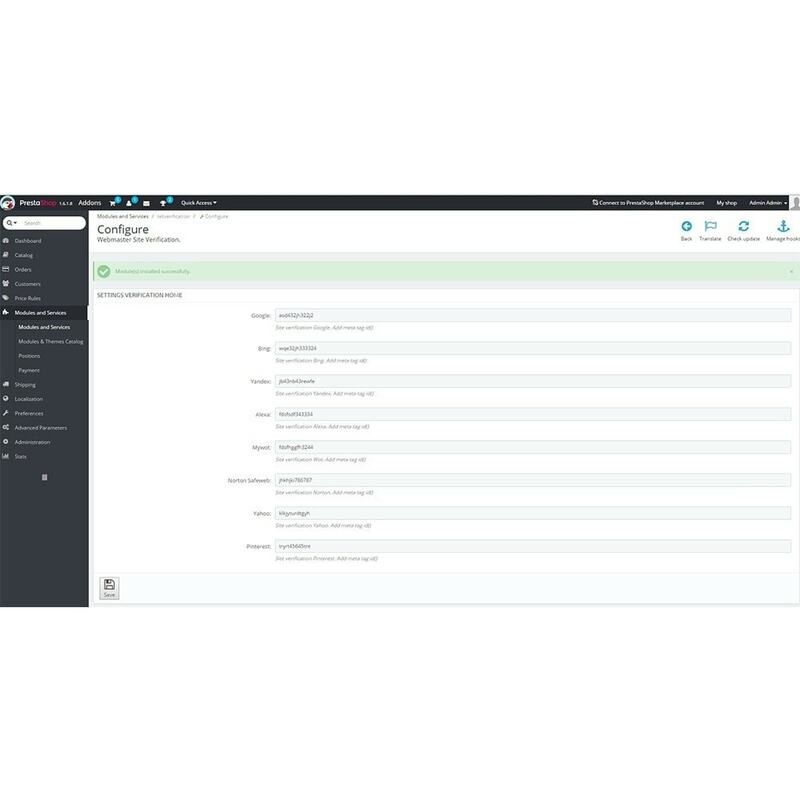 With our module all that you need - add meta tag ID in configure of this module. Module automaticaly will add meta tags to HTML code of your Prestashop store for easy Verification with various search engines. After verification you get many benefits on search engines for your Prestashop store. Including Google, Yahoo, Bing, Alexa, Yandex, Mywot, Norton Safeweb, Pinterest. Verification is possible using the “HTML Meta-Tag” method. Adds each HTML Meta-Tag in the head section of your website dynamically. Adding your sitemap file into the Sitemap files section. See a complete statistics on your site’s activities within search engine. Seo Friendly, indexing your site and of all necessary SEO for you without your Store. Allow Bots to crawl your site on daily basis. SEO Reports, Necessary SEO and SEO Analyzer. Parfait impossible de le faire manuellement après plusieurs heures avec celui-ci 10 secondes.